John Neale was born on 29 October 1797 at Parramatta, the eldest son of William Neale (c1764–1840) of the 102nd Regiment and his wife Sarah, née Townsend, both of Belsden, Leicestershire. Sarah Townsend (b.1773) was convicted of highway robbery in 1793. On 1 January 1816 at St Phillips, Sydney, John Neale married Australian-born Sarah Nicholson (1799–1853), daughter of John Lee and Alice Nicholson. They had eight sons and five daughters. He died on 14 October 1875 at Parramatta and was buried at the Sandhills Cemetery later being relocated to the Old Wesleyan section of Rookwood Cemetery. Both John Neale’s parents arrived in Sydney on the Surprize on 25 October 1794. John Neale was guide to Governor Lachlan Macquarie during his inspection tour of the Cowpastures region in 1815. 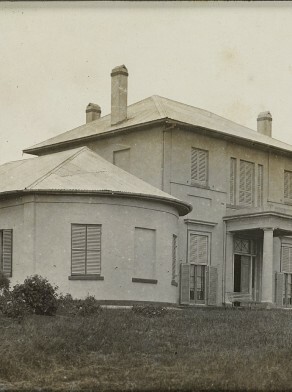 Until at least 1828, he was an Overseer at Captain Richard Brooks’ farm in the Appin/ Minto district, known as Denham Court, where most of his children were born. In 1824, John Neale was granted 60 acres of land near where Ingleburn Railway Station stands. By 1842, John Neale had premises as a carcass butcher at Victoria Place, Sussex Street. In 1844, his son John Jnr joined him in the business. In 1867 he was living at 18 Wylde Street. He was also a property investor who, in 1839, had purchased an allotment on Parramatta Street at Pyrmont, close to the Blackwattle Bay slaughterhouse, and later bought lots at the other end of the peninsula and built rows of cottages. His son John Thomas Neale (1823–97), a carcass butcher, invested in Balmain, purchasing most of the Datchett Estate in 1843 and reselling portions of it over the next decade. Another son James Henry Neale (1828–90), also a butcher, of Cambrian Villa, Macleay Street, was MLA 1864–74 and MLC 1883–90. Neale was Foundation Councillor for Phillip Ward, 1 November 1842 to 8 March 1852. He was re-elected for Denison Ward, 11 April 1857 but resigned his seat on 15 April 1857.